Update 6/12 @ 9:15 a.m. Just got a call from a staff member in Councilman Gonzalez’s office, and he is on it. This staffer has personally worked with Friends of Woodland Park, cleaning and clearing, so rest assured, their office will be paying close attention and has already been in touch with the Parks Director. I’m guessing at this point, we needn’t make any additional calls or emails to anyone, because there seems to be universal outrage and determination to act. Keep your powder dry and wait for updates. 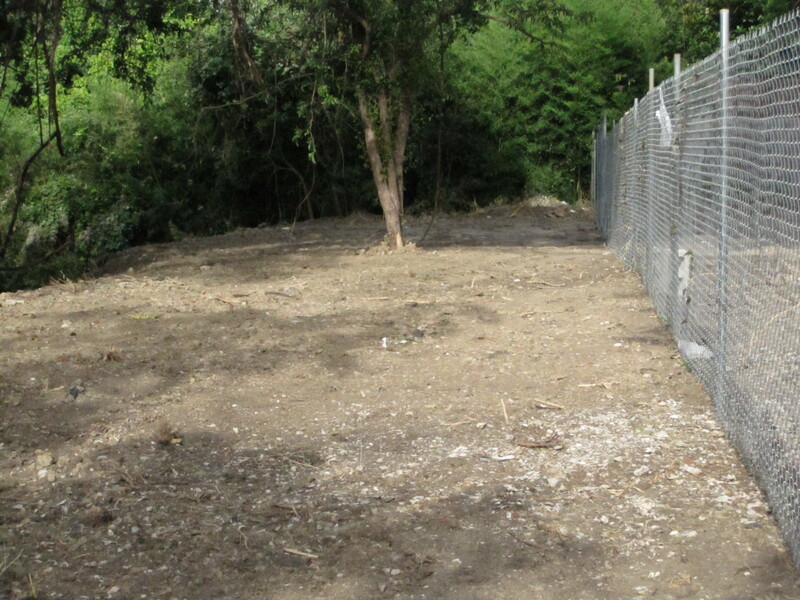 The Friends of Woodland Park, Inc. would like inform and acknowledge for the neighborhood that it appears there has been unauthorized vegetation removal within the Park. We are currently working with the Houston Parks and Recreation Department (HPARD) to determine the cause and initiate a solution to protect the Park and its inhabitants. Currently information is limited due to an ongoing investigation. We know many of you use the park on a regular basis and would be interested/concerned. So we wanted to assure the neighborhood that we are aware of the matter and are working on it. As more details become available we will report them. The Friends of Woodland Park is an independent 501(c)(3) nonprofit that was formed and is funded by the sweat, tears, and quite possibly, knowing about thorns and such, blood, to protect the second public park developed in Houston. They organize clean-ups, host movie nights, and work closely with the Parks Department to maintain this gracious public space. I hopped in the car to see what this “unauthorized vegetation removal” entailed, thinking maybe they dug up some dewberry bushes. I must tell you that my neighbor exercised heroic restraint in writing such a measured notice. Allow me to take you on a quick tour so you can see the scope of what we’re talking about. Various people who’ve looked at it, including city parks employees, estimate the clearing to be at or about an acre of land. Public park land. Public park land that drops down to a bayou and is in the flood plain. As I was taking pictures, another neighbor pulled up to check out the devastating view. He said that the developer’s response to the outrage was to explain that the clearing was done to give the condos a better view, and that besides, all they took out were invasive species. OK, here’s the deal, and developers, please take note. It would not have been OK for my husband and I to take our bulldozer down to Bolivar and raze an acre of dunes because there were invasive plants there. What part of public land do these people not understand? And another thing—when your property backs up to the bayou, and you are in the flood plain, what do you think you do to the foundation upon which your town homes are built when you take a scorched earth approach to “unauthorized vegetation removal?” A day’s worth of heavy rain would totally wash out this newly denuded ravine. Houston has a reputation for being a little lax with developers, but this is beyond what anyone around here will tolerate. The Parks department has been notified, but so have the police. This is egregious destruction of public property, and it will not go unpunished. I will be adding suggestions for what you might do to express your outrage, but as a first step, I suggest sending a note to your city council representatives (your district council member and the at-large members), as well as to our mayor, to ask for prosecution to the fullest extent possible along with complete restoration and restitution from the property owner who authorized this. You can find names and contact information for council here, and for the mayor here. I can’t imagine the bank will want to extend additional financing knowing the kinds of fines the developer will face, not to mention the delays in construction that large fines (or jail time) might create. And, to the extent that the clear-cutting jeopardizes the foundation stability, I’m sure the bank won’t want to be left holding a muddy lot when subsidence kicks in after a heavy rain. For extra credit, you might see if you know any members of the bank’s Board of Directors and drop them a note. For now, I think we can leave the concrete contractor alone, because that’s most likely a sub who didn’t authorize the clear-cut. 1) Reforestation with native plants and mature trees. They can’t just plant some grass and wash their hands of this. 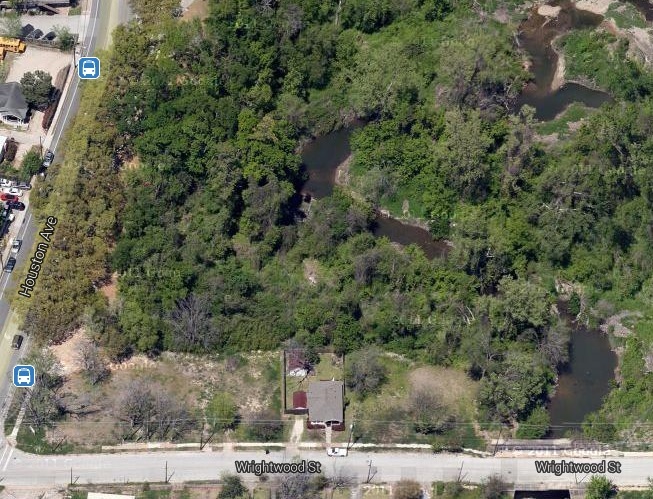 They need to pay a landscape professional to develop a plan that will then be subject to the approval of the City of Houston Parks Department to ensure we get back to nature as quickly as possible. 2) A hefty, hefty, hefty civil penalty. 3) Criminal prosecution if the destruction rises to the level of criminal destruction of public property. Enough is enough. Developers aren’t all evil people, and no one believes central Houston should be torn down and abandoned so it can return to pristine swamp and bayou land, but we have to take as strong a stand as possible against the reckless destruction of public property. Update: I’d be happy to be proven wrong. I’m not a surveyor, so don’t know for certain if the clearing is exactly an acre, but if the city employee’s estimate is close and this is on public land, this is outrageous. 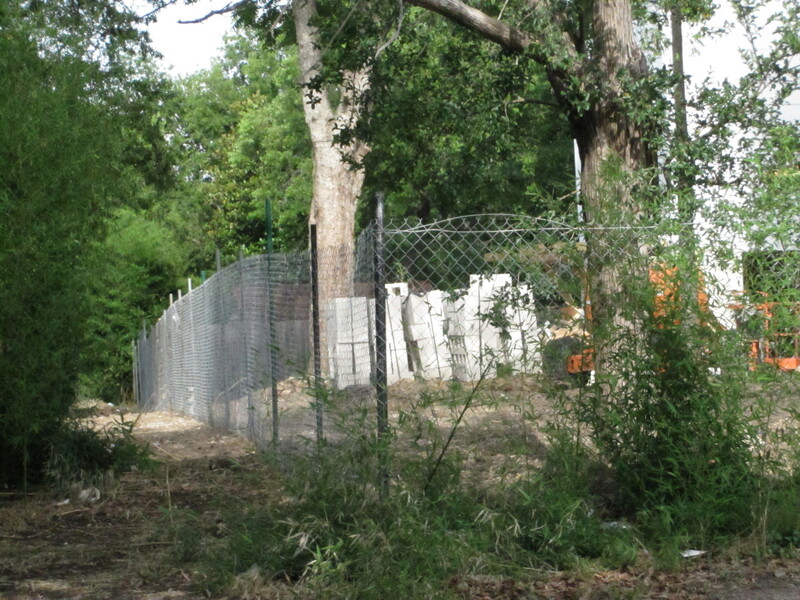 This entry was posted in good grief, Houston, time for action and tagged green space, houston, parks, real estate. Bookmark the permalink. Email sent to Ed Gonzalez, District H council member. For all of us who run through that park on a daily basis and who have supported the Friends of Woodland Park, this is unacceptable. 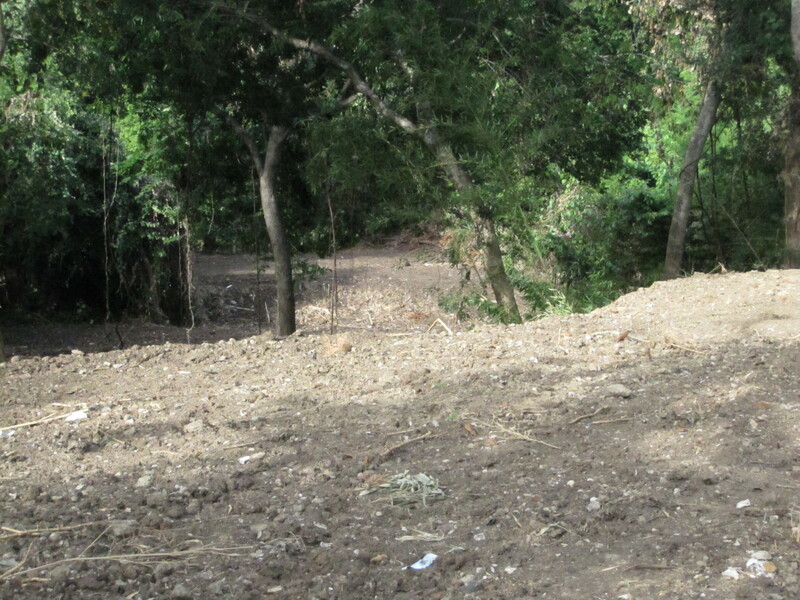 I didn’t even mention that Friends of Woodland Park have helped maintain the trails in the park – with permission from the city, of course – and this clear-cut wiped out huge sections. It would be like a property owner along Memorial taking a jack-hammer to the new bike path. This is awful and they need to be prosecuted to the fullest extent of the law. Good catch. Good blog. Good fight. Good luck. I hope this turns out right. Oh…the address is probably one of the board of directors or the homebuilder. Do I get extra credit? Property owner, per HCAD, I believe. I don’t know that for certain. By the way, the bank loan may have covenants about violating laws, etc., which this act would most likely breach. Definitely get the bank involved. Good to know about the loan convenants – thanks. And I thought we have it bad trying to save mature trees on city ROW in Magnolia Grove (Washington to Memorial, Shepherd to Waugh)! Can you get the city to put a lien on the town houses for damages? It seems to me that builders are forming companies for each development and then bankrupting them or simply closing the company/partnership near the finish or as soon as they sell the houses and then move on with a new company for the next development. Most people aren’t aware of this. I found out because I work in the industry. It seems consumers no longer care about buying a home from a builder with a track record. If this builder does this, it could hurt your chances for financial recovery. Best of luck! Thank you for working to save the trees in Magnolia Grove – and for this insight. I won’t hold my breath, but wouldn’t it be great if this incident created the momentum to start to turn the tide against consequence-free development? I live in Magnolia grove and have cried over the cutting down of beautiful trees for 13 years….it is now at least 10 degrees hotter in Magnolia Grove since they replaced the trees with concrete – Still crying over the greed and lack of respect the city has for its treasures – Magnolia grove was once that – please what to do to stop this from happening? Thank you! Thank you! For all you have done here and for bringing this to our attention! I was wondering about this project, but you took it upon yourself to investigate further. I just assumed, this was all legal actions on the developers part, although it was upsetting to see! Thank you for again reminding me to get involved and be proactive in our everyday lives! I think the thanks goes to the WHCA, for instituting the NextDoor online b-board for our neighborhood, then for the neighbors who’ve worked so hard and so tirelessly for our neighborhood, and who knew right away to call the parks department and post that note on the b-board. The hard work really will come when we get the chance to vote, in both city, county, and statewide elections. We need representatives who will stand up against the developers and institute both proactive development codes and tort remedies for damages that are significant enough that builders don’t treat fines as the normal cost of doing business. Update. Councilman Gonzalez got right on this and had an expedited meeting with Director Turner this morning. So we have attention on the issue, now we get to see if they will make an example out of them. It is hard not to get overwhelmed by it – the work of fixing the problem isn’t easy and isn’t fun, that is for sure. RUDH has just posted a CALL TO ACTION re this! They have included a letter template, all contact emails (including the Mayor, Parks Directors, Council Members (At-Large and Gonzalez) and the bank rep. Please share on your pages. Thanks for this post! Did you happen to see any low fences that might look like they are trying to block runoff or sediment? No, I did not see anything like that, but I didn’t walk all the way down into the large clearing. If you go to look, wear Wellies or shoes you can hose off – it is already super-muddy. I spoke with the developer himself by phone this morning. We had a courteous conversation. He sounded sorely chastened and apparently realizes that he has stepped into a big mess of his own creation, that will be complicated and expensive to get out of. He said that both he himself and another interested party in the project will be living in the houses, that he wants to be a good neighbor, and that he has already been in conversation with the City and Parks about what now needs to be done. We will see. If he really understands that he screwed up and is willing to ‘make good’ the damage AND support the park, then this may be a win-win. I’m all about going after intentional harm, but if we can turn this into a greater good for the park while warning other developers then I say let him step up. Further update. Construction crews were sitting around looking worried this morning with a Channel 13 news van out front. Obviously they know that something is up. I drove past on my way home from a meeting just now – Channel 13 is still there (or there again), and Channel 2 was pulling up. It’s about to be on the 2 news right now. The bank is only going to care until the homes are sold and a new mortgager takes over the loan. Even then, the mortgage holder won’t care, the homes can slide down the hill, they won’t care, just pay the note. I really doubt the builder is going to live there, that is lip service to shut this up. Thank you for this timely and well done piece. I can bet the best view will be the one he lives in, no they are not good neighbors, when they clean up after the work day or when mowing cleaning the lots they blow all the debris into the street. 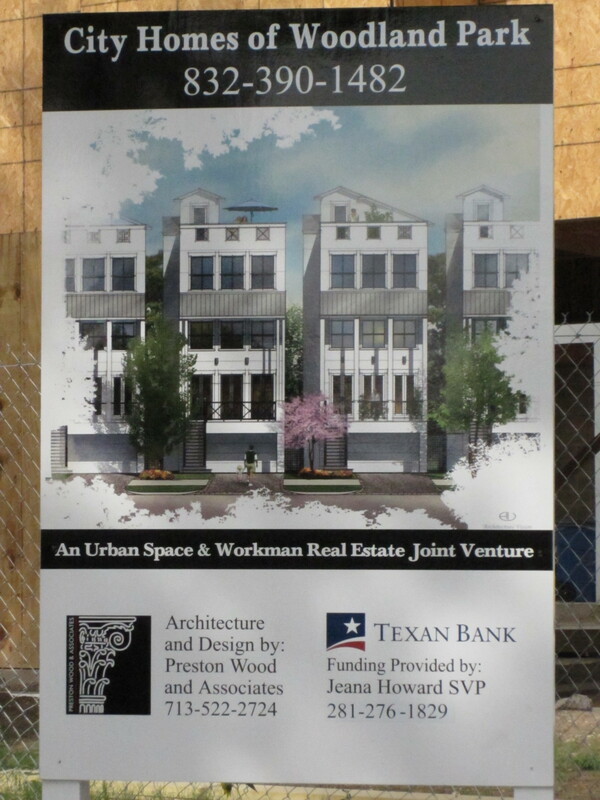 The voice mail did say that they are planning 7 units, really on that lot, 5 stories and only one half bath. where do you pee when on the roof top terrace? Oh wait I know into the park! Do they expect the potential buyer to not see the bar across the street, or find pictures of TS Allison effect on the neighborhood? Look for the one with the clock tower, priceless. Or how the school zone across the street is Travis, but there the elementary schools is across the highway. Look the I-45 Coalition (great group) but what if? HMMMMM. I love this neighborhood and moved there for a reason when it was down and out nobody would even come visit. They (builder/ developer) probably could have just asked and got a “Hell Yes” from the city. I never saw a variance sign there either. Thank you again, my rant is done, I’ll go plant a tree tonight. The local developer motto is “do and ask forgiveness later”. Most of the time, the City looks the other way. When a developer gets caught in some shenanigan, they always blame the subcontractor and at most get a slap in the wrist. The City needs to start putting some teeth behind our ordinances and stop this sort of madness. I’ve known of developers who’ve poured root killer to kill trees in adjacent properties because the tree was blocking their “view”. 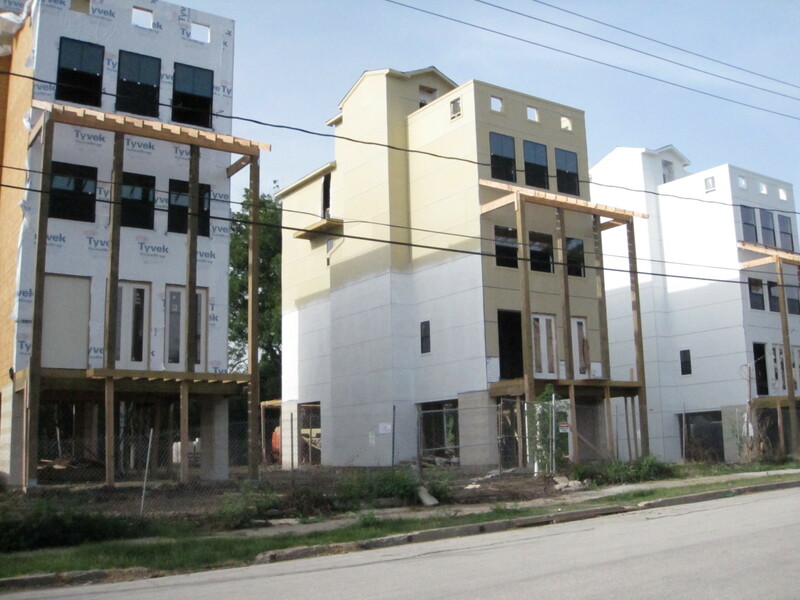 Andrea, given media reports that quote the developer as claiming that he never said he was “trying to improve the townhomes’ view”, I urge you to track down the homeowner you quoted, and ask them to approach city council and the news organizations to set the record straight. I hope to have time to update the blog this weekend with links to all of the follow-up that has happened. Not sure I’ll have time to track him down, and not sure he’d want one more person (especially an unofficial one) track him down, but glad to point out the updates & developments so people have the full story. Again, many thanks to all who responded so quickly and for the concern that has been raised. Living in Germantown, in a 100 year old home…I am so sad and heart sick to see, once again, how the “bottom line” seems to circumvent the respect of home owners in this historical area. 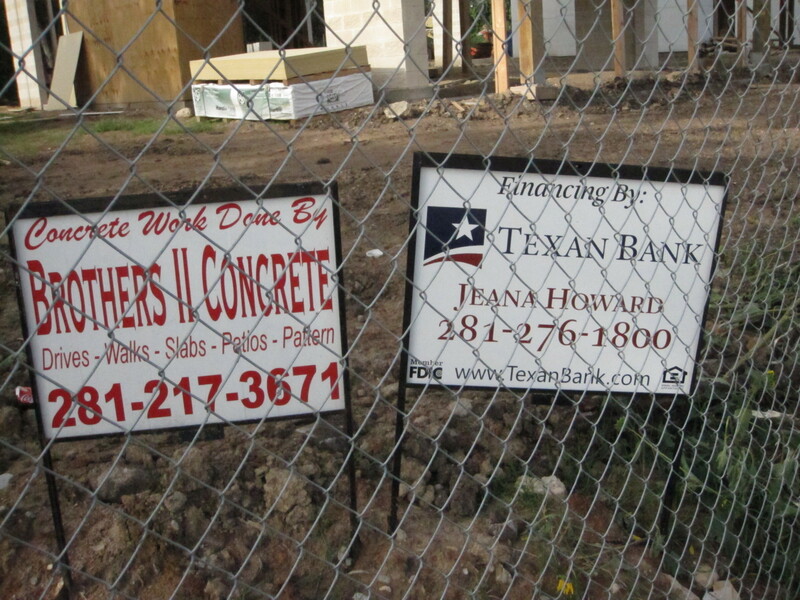 Here in Houston, we have been careless and without foresight in tearing down homes in this type of neighborhood. It is sad to see lack of support for renovation in exchange for slip shod built multistory buildings that might have a life span of 20 years. Private home owners in this neighborhood have been overly burdened with higher and higher taxes, when we all know that downtown office buildings and multifunctional properties have their taxes protested by large law firms and right offs from the city for bringing in revenue. It is a very sad state of affairs to think that a private home owner has so little defense in regards to how the face of a neighborhood can change around them. Thank you again, to the people that feel the need to do what is right in these situations and bring it to our attention. I went and did a full walk through today. This was no ‘miscommunication’, it was an expensive and deliberate act. They left a ‘screen’ of bamboo to hide what they had done and pushed all the debris back out of sight. Most disturbing are the rumors that parks and city officials have been acting to suppress the story by telling folks at the site not to talk to the press. I even heard that some neighbors were called and asked not to comment to media. Makes me wonder why the parks department does not want a clear message to other developers? Who is allowing the developer to revise his story and blame the subcontractor? I was happy to see Ed Gonzalez, the mayor and the city attorney act so quickly, but now it makes me wonder if their speed was all damage control? I don’t want developer’s scalp, but I do want some transparency. Great work on this, non.